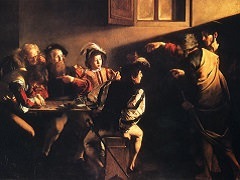 On May 1606 Caravaggio was accused of murder and fled from Rome to distant lands (Naples, Sicily, Malta) to escape the price that had been placed on his head. His self-portrait as Goliath's severed head, held by David his executioner, was sent to the papal court in 1610 as a kind of painted petition for pardon. 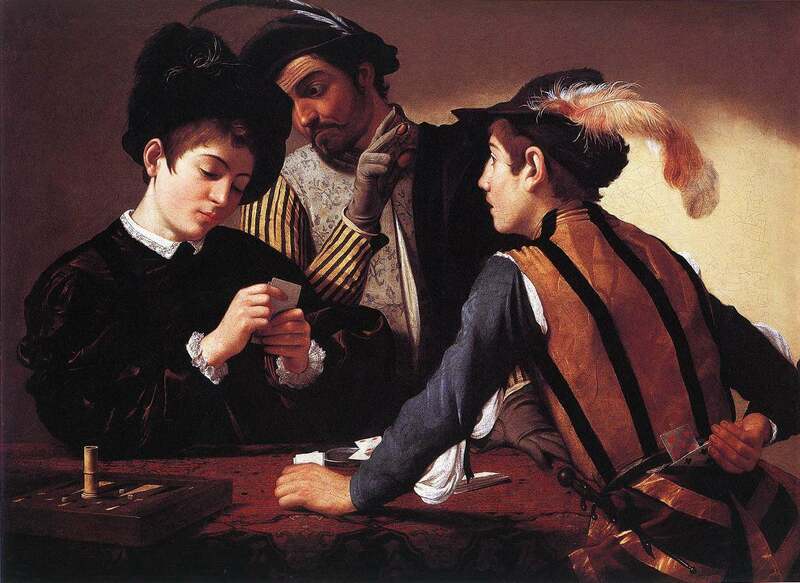 In fact pardon was granted, but did not reach Caravaggio before he died in Porto Ercole. 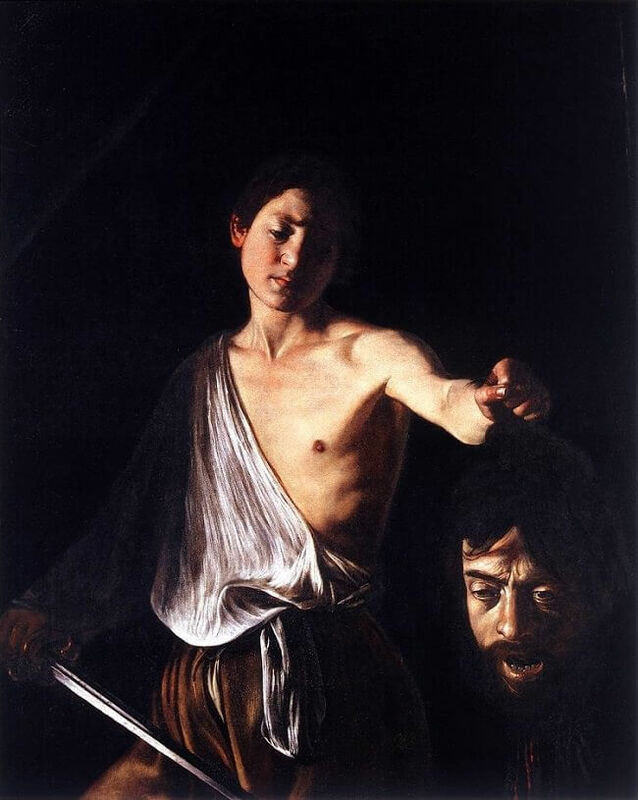 In his David with the Head of Goliath, Caravaggio pays tribute to the rapid brushstrokes Titian adopts in his later works and surrounds the youth's face with a kind of luminous halo that shines out from the dark, earthy tints surrounding the figure. Unlike David by Michelangelo, in which Michelangelo portrays the youth in the phase immediately preceding the battle. 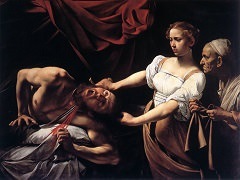 In Caravaggio's work, David assumes the pose traditional for allegories of Justice, with a sword in the right hand but with scales instead of the head in the left. The relation to Christ, who is the ultimate judge as well as savior, is evident. 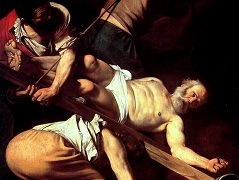 David may sorrow, but even in his compassion he bears the burden of the dispensation of justice firmly. 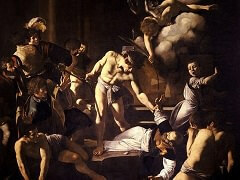 Caravaggio's sardonic representation of himself as Goliath is despairing. It is a harrowing portrait, streaming blood, the forehead bruised and the eyes uncoordinated, the lingering spark of life in the left eye extinguished in the dull, unfocused, sightless, and lifeless right. 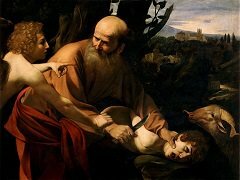 The contrast of this image with the vigor of David's youth is between death and life, not only of the body but also of the soul. 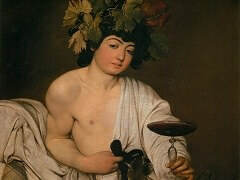 Caravaggio has portrayed himself as damned. But his criminal escapades and the sexual irregularity intimated in his early pictures were too banal to have in themselves inspired such a sobering image.